This week, big tech announcements came from China’s MWC, whereas South Korean tech giant Samsung bounced back with two Galaxy J series smartphones in India and a lot more. 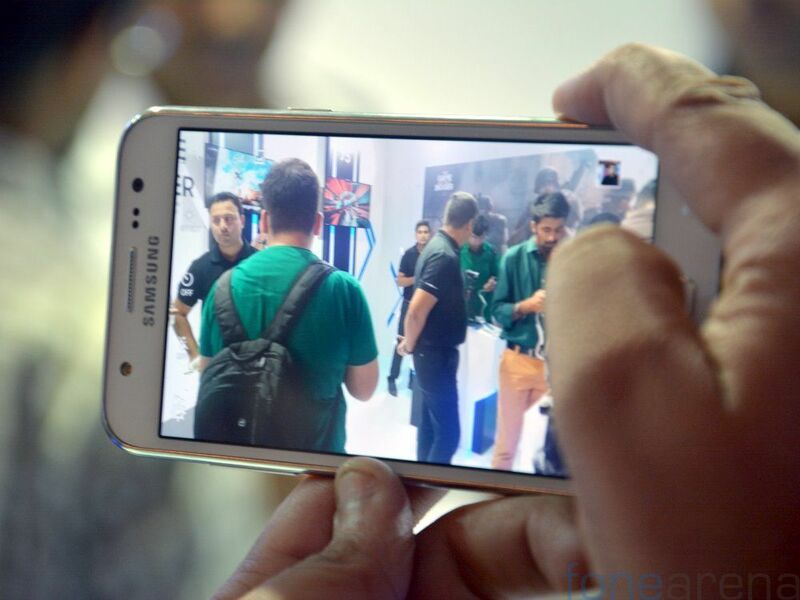 First up, Samsung launched its selfie-focused smartphones Galaxy J5 and Galaxy J7 in India. Both devices were recently launched in China, but the Indian variants are little different from those. The highlight of these devices is their 5-megapixel front-facing camera with LED flash. The rear camera is 13-megapixel shooter on both. The Galaxy J5 has a 5-inch HD screen and is powered by a 1.2GHz quad-core Snapdragon 410 SoC coupled with 1.5GB of RAM, while the Galaxy J7 comes with a 5.5-inch HD display and is powered by an octa-core Exynos 7580 processor coupled with 1.5GB of RAM. Both these smartphones run on Android 5.1 (Lollipop) with new UI and supports 4G connectivity for 1800MHz (Band 3) LTE band in India, but no details about 2300MHz (Band 40). The Galaxy J5 and Galaxy J7 come in Black, White and Gold colors and are priced at Rs. 11,999 and Rs. 14,999, respectively. Checkout Galaxy J5 hands on and Galaxy J7 hands on here. At the Mobile World Congress Shanghai this week, Intex launched its iRist smartwatch priced at Rs. 11,999. This has a built-in 3G SIM support with support for make or receive calls and SMS. It is also dust and water resistant and comes with a pedometer. It runs on full Android 4.4.2 OS with Google Play Store, and Intex says that it is the first Indian company to launch an Android-powered smartwatch. 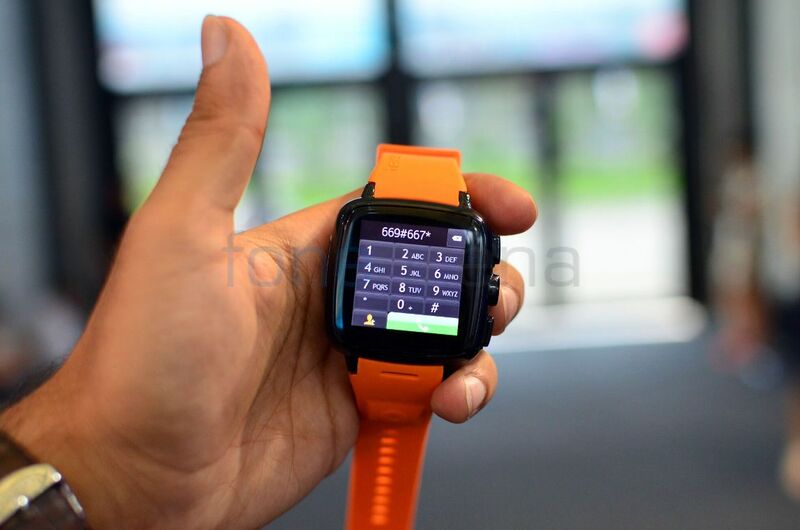 The smartwatch features a 5-megapixel camera on the right side and has two physical buttons. It will go on sale early August and will be available exclusively from eBay.in initially. Check out our Intex iRist smartwatch hands on and photo gallery. InFocus this week launched two devices quietly – the new mid-range InFocus M810 and 4G variant of the budget InFocus M2. The InFocus M810 packs a 5.5-inch 1080p display, is powered by a 2.5 GHz quad-core Snapdragon 801 processor coupled with 2GB of RAM and runs on Android 5.0 (Lollipop). It has a 13-megapixel rear camera with true tone LED flash, Sony Exmor R sensor and a 5-megapixel front-facing camera. It has a metal frame and is just 6.99mm thick. It has 4G LTE connectivity, but only supports 1800MHz FDD-LTE Band 3. 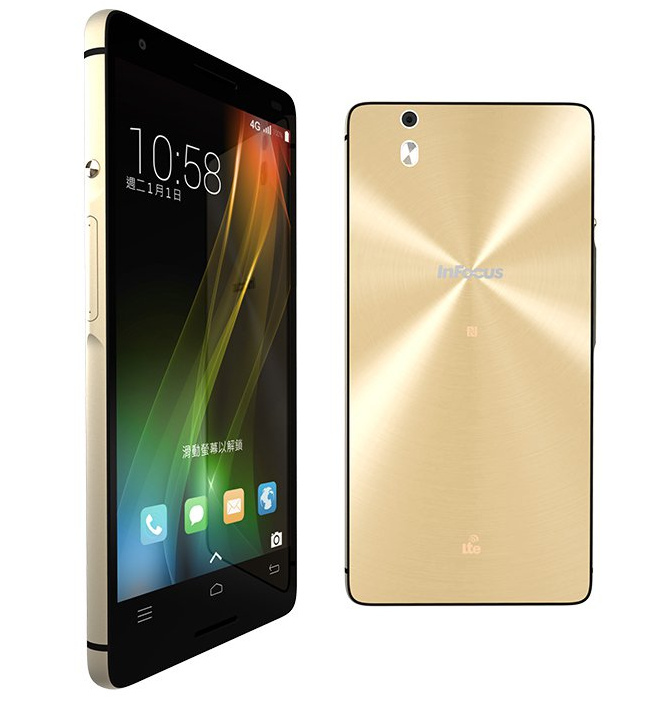 The InFocus M810 comes in only Gold color option and is priced at Rs. 14,999. The smartphone is exclusively available on Amazon. In March, Infocus had launched the 3G variant of its M2 smartphone. This week it launched the Infocus M2 4G, the 4G variant with Snapdragon 400 SoC instead of MediaTek MT6582 in the 3G variant. Other specifications are similar, which include a 4.2-inch HD (1280 × 768 pixels) 355ppi display, Android 4.4 (KitKat), 8-megapixel auto-focus front-facing camera with LED flash and 8-megapixel auto-focus rear camera with LED flash. It has dual SIM support with 4G on SIM 1, while the other supports 2G. The Infocus M2 4G comes in Black and White colors and is priced at Rs. 5,499. It will go on sale exclusively on Amazon.in through flash sale starting from July 24th. Registrations for the sale have already started on Amazon.in. 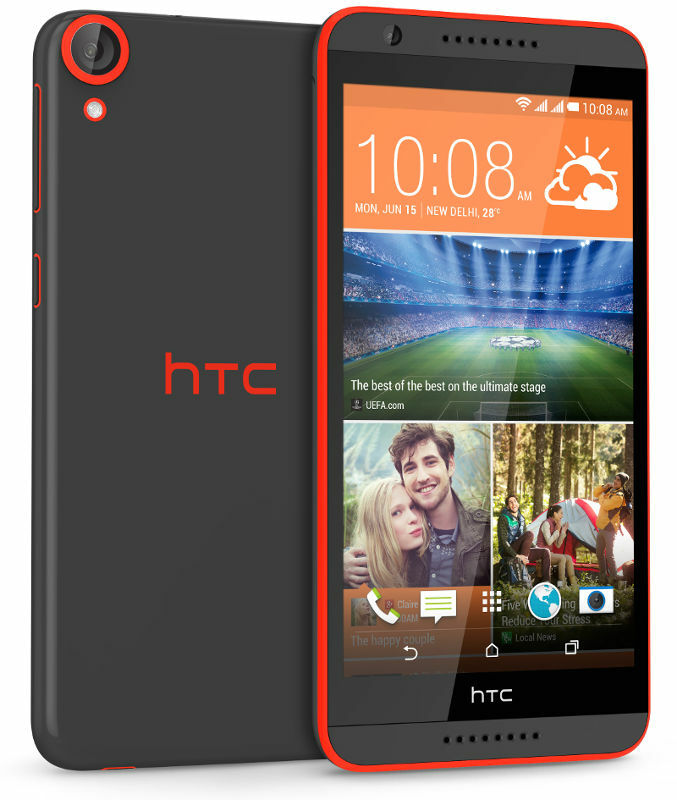 HTC launched the Desire 820G+ dual sim, the company’s latest mid-range smartphone in India. It has a 5.5-inch (1280 x 720 pixels) display, is powered by a Octa-Core MediaTek MT6592 SoC and runs on Android with Sense UI. It has a 13-megapixel rear camera and 8-megapixel front-facing camera and dual-front-facing BoomSound speakers, similar to last year’s Desire 820. The HTC Desire 820G+ dual sim comes in Santorini White, Saffron Grey and Milky-way grey colors and is priced at Rs. 19,990. 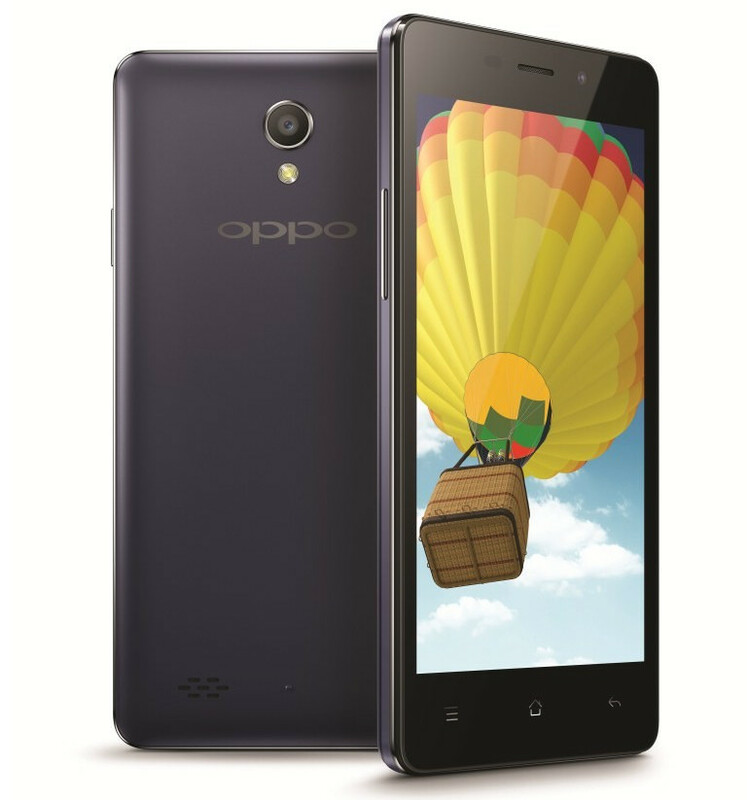 Oppo launched its latest smartphone in the Joy series dubbed the Oppo Joy 3. It was announced last month and packs a 4.5-inch (854 x 480 pixels) FWVGA IPS display, is powered by a 1.3 GHz quad-core processor and Android 4.4 (KitKat) based on ColorOS 2.0. It has a 5-megapixel rear camera with LED flash and a 2-megapixel front-facing camera. It has dual SIM support and 3G connectivity. 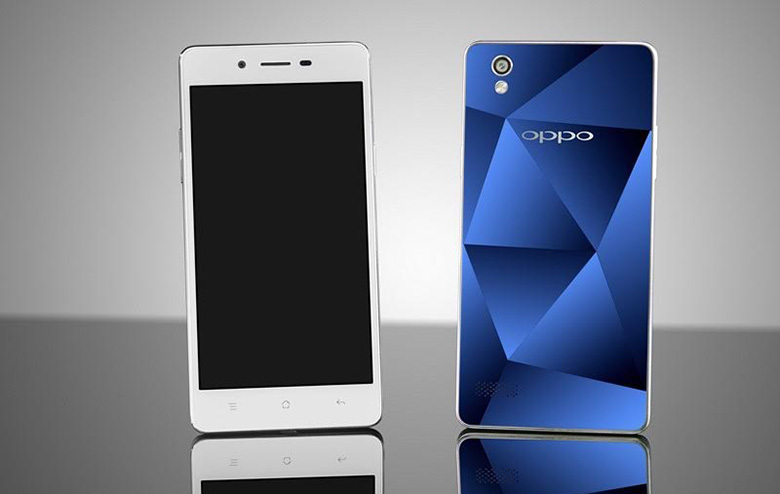 The Oppo Joy 3 comes in classic white and matte grey colors and is priced at Rs. 7,990. 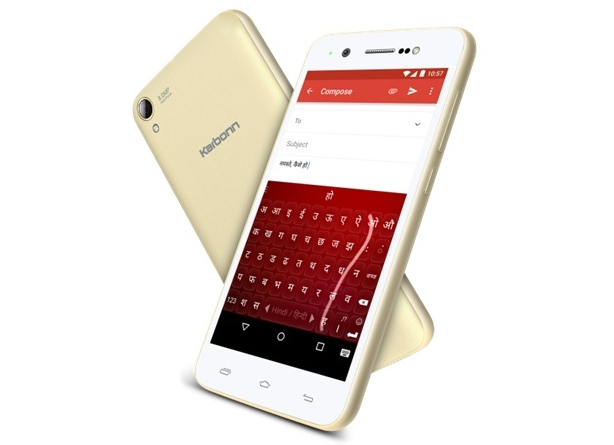 Karbonn launched the successor of its Titanium MachOne smartphone dubbed the Titanium MachOne Plus. It packs a 4.7-inch HD screen, is powered by a 1.3GHz quad-core processor coupled with 2GB of RAM and runs on Android 5.0 (Lollipop). It has an 8-megapixel rear camera with LED flash and a 5-megapixel front-facing camera with LED flash. The Karbonn Titanium MachOne Plus comes in White with Golden, White and Dark Blue colors and is priced at Rs. 6,990. 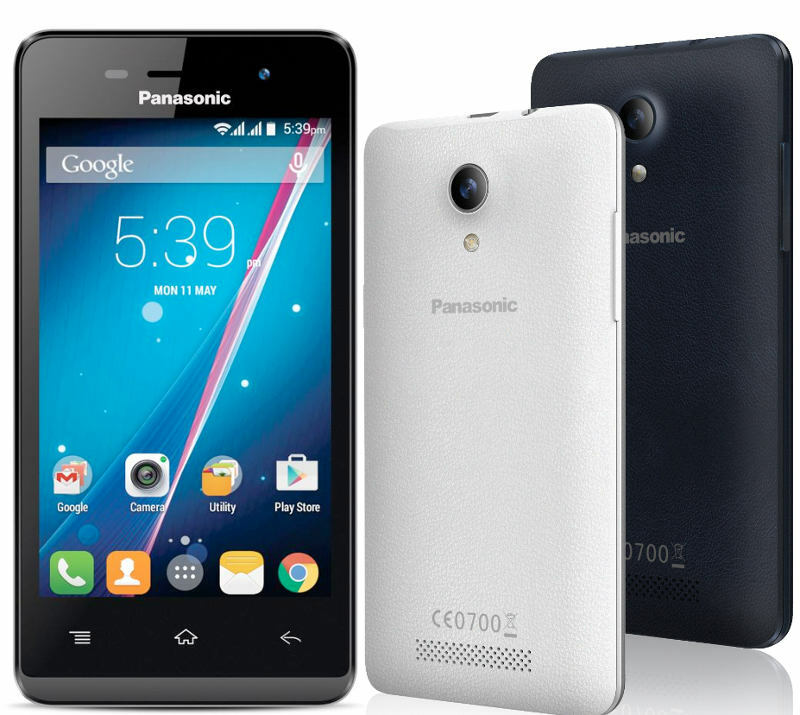 Panasonic launched its latest budget 3G smartphone in its ‘T’ series called the Panasonic T33, priced at Rs. 4,490. 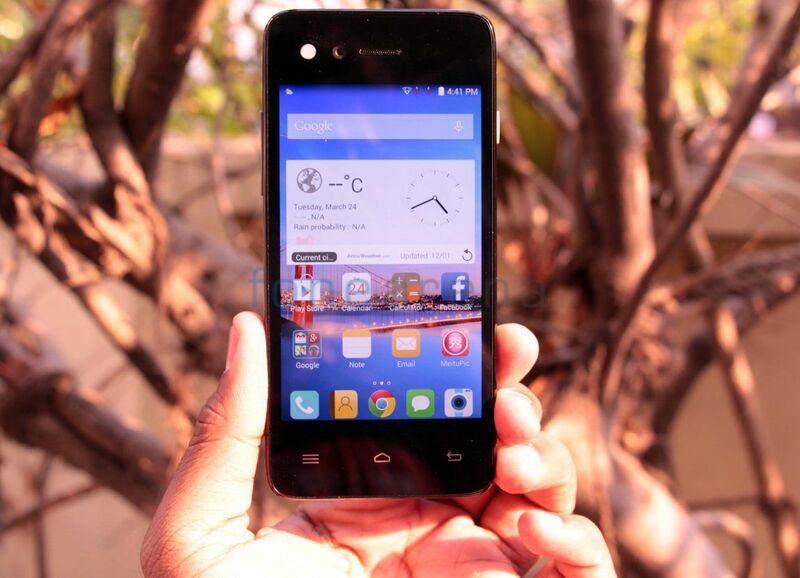 It has a 4-inch WVGA screen, is powered by a 1.2 GHz quad-core processor and runs on Android 4.4 (KitKat). It has a 3-megapixel rear camera with LED flash and a VGA front-facing camera. It has dual-SIM support, 3G connectivity and comes with support for 21 Indian languages. Lastly, Logitech launched its first set of accessories under new Logi label that includes Logi BLOK Protective Shell, the Logi BLOK Protective Case and the Logi BLOK Protective Keyboard Case. All these have square corners to help protect the iPad 2 from drops up to six feet high and onto surfaces as hard as concrete, since the absorbent polymer structure of the case supports and flexes with the iPad upon impact, said the company. The Logi BLOK Protective Shell comes in black, red/violet or teal/blue colors and a suggested retail price of US$ 39.99. The Logi BLOK Protective Case comes in black, red/violet or teal/blue and a suggested retail price of US$ 69.99. The Logi BLOK Protective Keyboard Case comes in black or teal/blue and a suggested retail price of US$ 129.99. It will roll out in the U.S., Australia, New Zealand and select countries in Europe starting from August 2015. Xiaomi in China announced another device in its IoT portfolio and this time it’s a Water Purifier. The compact Mi Water Purifier has built-in WiFi support and lets you check real-time water quality using Android or iOS app and also reminds you when a filter needs to be replaced. It uses Reverse Osmosis (RO) to purify water and churns 400 gallons of water in 1 day. With a total dissolved solids (TDS) value of less than 100, it turns tap water to drinking water, said the company. The Xiaomi Mi Water Purifier is priced at 1299 Yuan ( US$ 209 / 13280 approx.) and goes on sale in China from July 28. 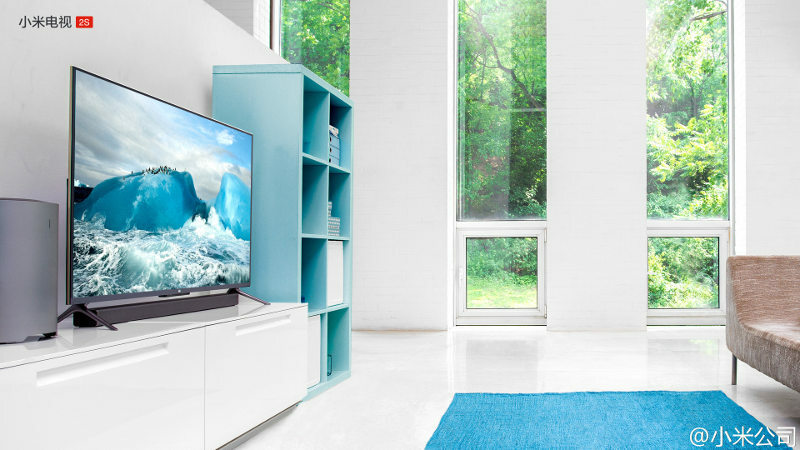 Xiaomi also introduced new 48-inch Mi TV 2s, few months after introducing its new 55-inch Mi TV 2. The new Mi TV 2s has a 48-inch (3840 x 2160 pixels) 4K display from Samsung with 178-degree viewing angle. The TV has 9.9mm thick aluminum alloy frame that comes in gold, pink, blue, green and silver colors. It is powered by a 1.4GHz quad-core MStar 6A928 Cortex-A17 processor, has 2GB RAM and supports a range of apps from the Mi Store. Other specifications and features are similar to the 55-inch Mi TV 2. The new Xiaomi Mi TV 2s is priced at 2999 Chinese Yuan (US$ 483 / Rs. 30,660 approx.) and the Theater edition with woofer and speakers cost 3999 Chinese Yuan (US$ 644 / Rs.40,880 approx.). It will go on sale in China from July 28. At the MWC Shanghai, ZTE announced Blade D6 smartphone. It has a 5-inch HD IPS display, is powered by a Quad-Core 64-bit MediaTek MT6735 processor coupled with 2GB of RAM and runs on Android 5.0 (Lollipop) with MiFavor 3.2 UI on top. It features a 13-megapixel auto focus rear camera with LED Flash and a 5-megapixel front-facing camera. It has 6.95mm slim 6013 aluminum alloy body. The Blade D6 comes with hybrid dual-SIM slot that lets you use the second slot for Nano-SIM or microSD card expansion. It has 4G LTE connectivity with support for FDD-LTE bands B1/3/7/8/20 and TDD-LTE band 40 and a 2200mAh battery. 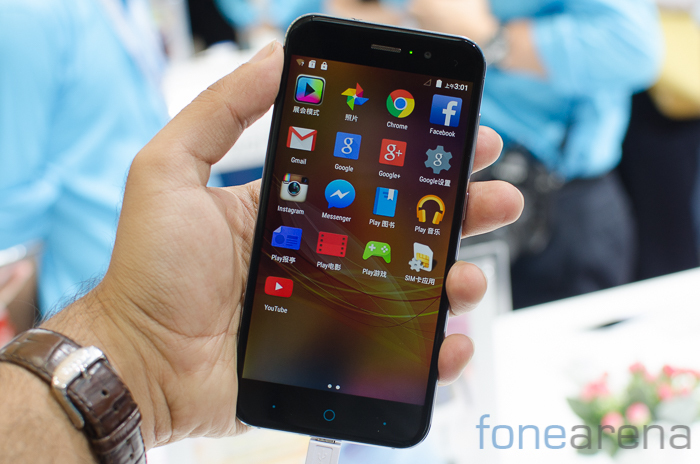 Checkout ZTE D6 photo gallery here. ZTE also announced Axon Pro in U.S., which is company’s flagship smartphone in the country. It packs a 5.5-inch Quad HD CGS (Continuous Grain Silicon) screen, is powered by an Octa-Core Snapdragon 810 64-bit SoC coupled with 4GB of RAM and runs on Android 5.1 (Lollipop). It has a 13-megapixel rear camera with dual LED flash and a secondary 2-megapixel rear camera for quick auto focus and depth sensing. It also has a dedicated camera key and an 8-megapixel front-facing camera. 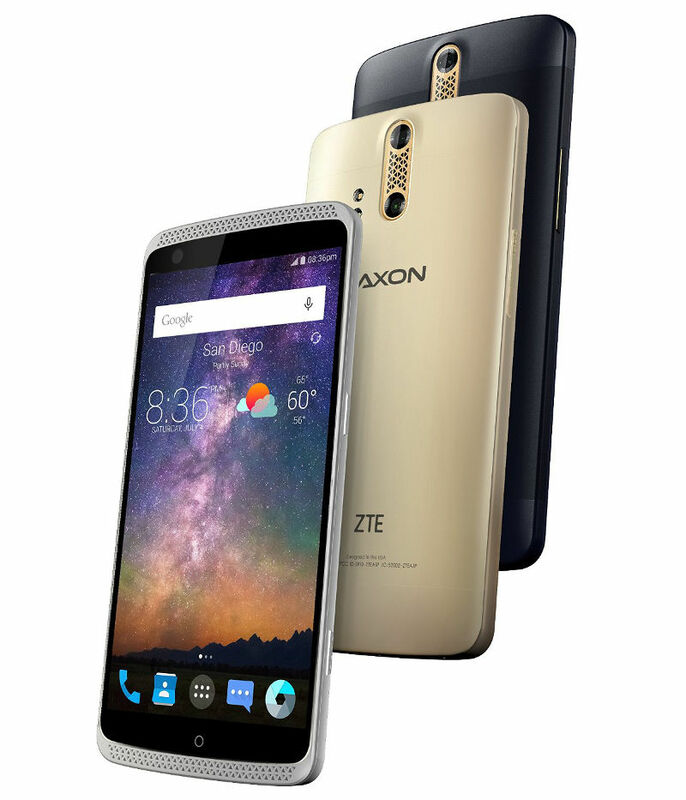 The ZTE Axon Pro comes in Ion Gold, Chromium Silver and Phthalo Blue colors and is priced at $449.88 (Rs. 28,500 approx.) for the unlocked version. It will be available from ZTEUSA.com, Amazon, eBay, and Newegg starting July 27. 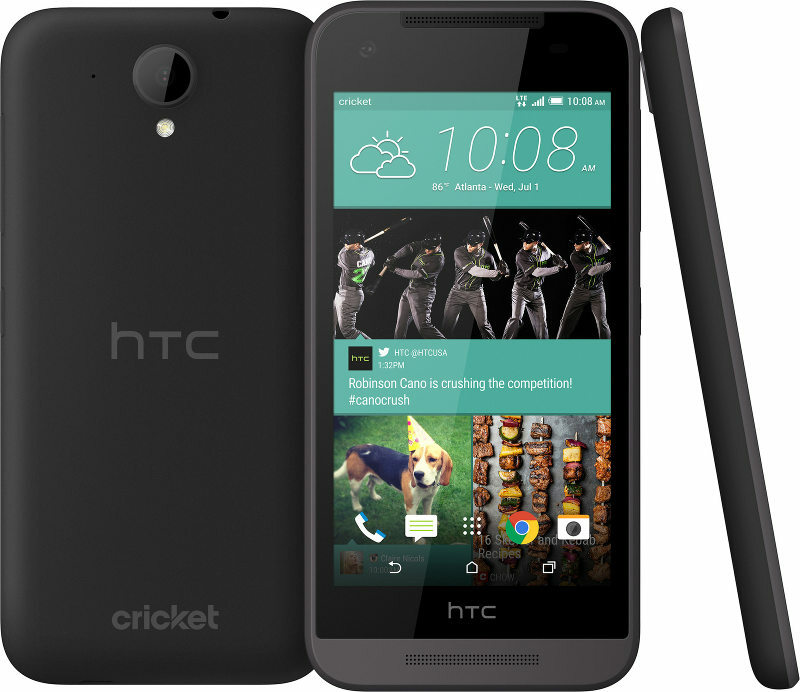 HTC this week announced four new smartphones – Desire 626, Desire 626s, Desire 526 and Desire 520 for the U.S. market. All these smartphones are powered by Snapdragon 210 SoC, come with 4G LTE support and run on Android 5.1 (Lollipop) with HTC’s own Sense UI on top. HTC did not reveal the pricing or availability of these smartphones yet. Checkout full specifications here. 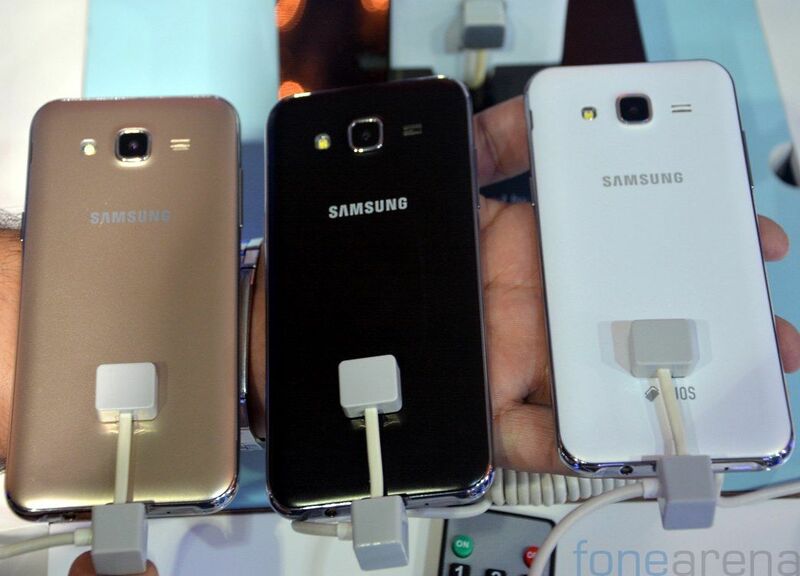 After several leaks, Samsung Galaxy A8 finally went official in China. The smartphone packs a 5.7-inch 1080p Super AMOLED display with ultra-narrow bezels and has full metal uni-body design, similar to the other A series smartphones and is just 5.9mm thick. It is powered by an octa-core Snapdragon 615 processor with 2GB of RAM and runs on Android 5.1.1 (Lollipop). It has a fingerprint sensor on the home button. It has a 16-megapixel rear camera with LED flash, f/1.9 aperture and a 5-megapixel front-facing camera with 120-degree wide-angle lens. It has 4G LTE support and might come with dual SIM support depending on the market. The Samsung Galaxy A8 comes in Black, White and Gold colors. 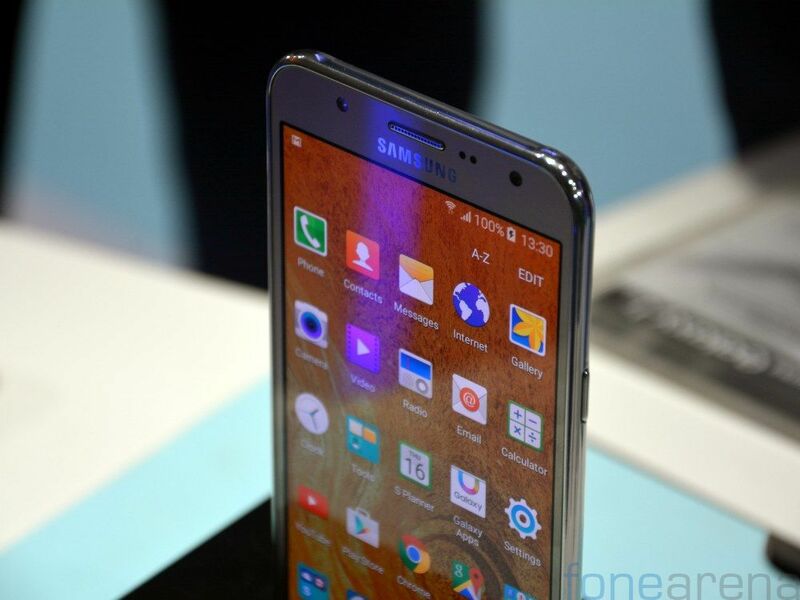 Samsung has not revealed the pricing or details about its global roll out yet. At last, Oppo announced its Mirror 5 smartphone, which comes with beautiful glass back, a metal frame and is just 7.65mm thick. 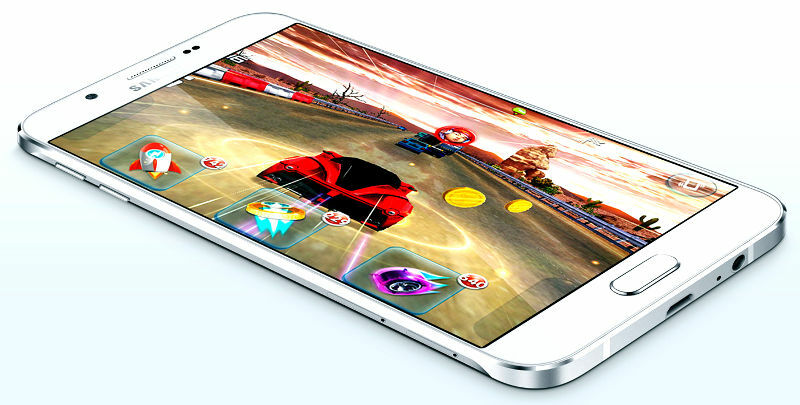 The Mirror 5 features a 5-inch qHD (540×960 pixels) display, compared to 5-inch HD display on the Mirror 5s. Other specifications are similar, including a 1.2 GHz quad-core Snapdragon 410 64-bit SoC, 2GB of RAM, Android 5.1 (Lollipop) with Color OS 2.1 ROM, 8-megapixel rear camera with LED flash and a 5-megapixel front-facing camera. There is a 3G variant, international 4G variant and the US variant. The international model supports 4G LTE bands – FD-LTE 800/850/900/1800/2100/2600/TD-LTE 2300. It also has infrared sensor for remote function that lets you control household appliances like TV, DVD Player and more and comes with dual SIM support. Checkout more details about the smartphone here.